A sleek two colour crossover bangle watch from DKNYs Crosswalk collection, crafted in polished stainless steel and gold tone stainless steel. The slender bangle is set with a round fresh white dial with gold tone detail. Perfect for chic, everyday fashion. 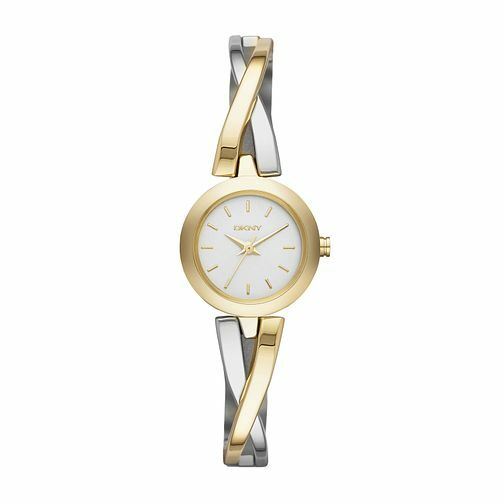 DKNY features fashionable, stylish timepieces that transcend seasonal trends and embody the unique spirit of Donna Karan New York.